Did you know that September is Life Insurance Awareness Month! 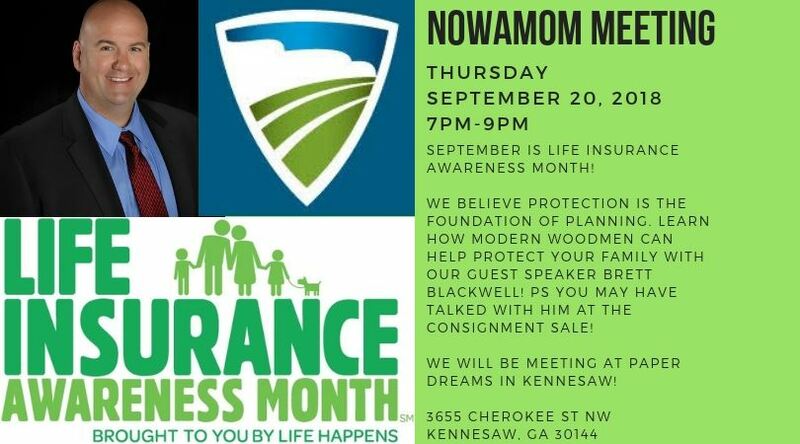 Join us as NOWAMOM meets in September with Brett Blackwell from Modern Woodmen of America for an overview of how financial planning, life insurance and children's savings accounts can help your family and set you up for success! We will be meeting inside Paper Dreams! Please bring a light snack to share.